Acne represents a condition that has been medically debated on for years. At this moment in time, there is still no exact solution to immediately remove all acne, while also treating the source of the infection. Generally, it can be regarded to as a skin infection which can deeply affect the lives of those suffering from it. There are also various types of acne, some of which are weak, mild or severe. Finding the right treatment always requires an intervention from a dermatologist, as doctors can prescribe the proper medicine, and treatment that users affected should receive. An interesting medicine, which has become highly controversial due to its side effects, is Accutane. To put things better into perspective, Accutane represents a form of vitamin A, which reduces the amount of oil released by oil glands present in your skin, while also helping the skin renew itself significantly quicker. Usually, the drug is used in order to treat severe nodular acne, which is one of the worst kinds there is. Together with this, doctors usually decide to administer it to their patients after other medicines and antibiotics have been tried, without any actual results. Accutane can also be used to treat some other medical conditions. To kick things off, it’s important to be aware of the fact that the medicine can cause severe, life-threatening effects for females who are pregnant. Because of this, women are required to sign several documents prior to taking the medicine, and also be on birth control, in order to ensure that they do not become pregnant while being under the treatment. Together with this, the medicine is also available under special programs only in a couple of countries. It is dangerous to attempt to buy the medicine from the black market, and people affected by severe forms of acne should only take it if it has been prescribed by a doctor. Based on this, prior to taking the medicine, it is important to discuss several aspects with the doctor. These include if you suffer from conditions such as asthma, diabetes, intestinal disorders, osteoporosis, heart disease, mental illness (including a family history of such conditions), liver disease, eating disorders such as anorexia and more. Accutane should be taken exactly as it has been prescribed by the doctor. With this in mind, do not take it in smaller or larger amounts than the ones which have been recommended. 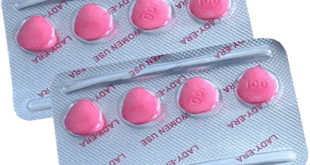 Additionally, the medicine should only be taken with a full glass of water, to prevent issues such as getting the pill stuck in your oesophagus, which can lead to various complications. There are also several other aspects to be wary of, when it comes down to taking the medicine. Users should not take vitamin supplements containing vitamin A, should not donate blood, should not use wax hair removers, or have laser skin treatments, while they should also avoid exposure to sunlight and UV rays, due to the fact that the drug can make skin significantly more sensitive to light and heat. What are the side effects of the medicine? Due to the nature of the drug, there are quite a lot of side effects to be aware of including a depressed mood, sleep problems, trouble concentration, aggression, changes in behaviour, sudden weakness in certain parts of the body, hearing problems, hallucinations, blurred visions, joint stiffness and more. In case other side effects such as hives, swelling of the face, lips, tongue or throat or difficulty in breathing occur, emergency medical attention should be attained. While the drug is effective, understanding the danger behind it is also important. When it comes down to buying it, make sure to only do so from AUTHORIZED pharmacies, and once a prescription is obtained. Failure to do so can result in life-threatening issues.